After short stint as electrical engineer with US Army Missile Command at Redstone Arsenal, Huntsville, accepted position with Hewlett Packard in April 1978, and have been with them/Agilent Technologies (HP spinoff) ever since! David Baker has a birthday today. David Baker posted a message. New comment added. Curtis Norris posted a message on David Baker's Profile. Happy Birthday my old Friend!!! Have a great day. Happy Birthday Sir! Remember you are just JUST 62! When are you coming back thru town? David Baker has a birthday today. New comment added. David Baker updated profile. View. 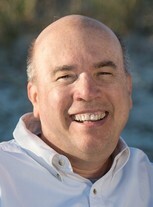 David Baker changed profile picture. David Baker added a photo to profile gallery. David Baker joined via Class Connection Facebook app.